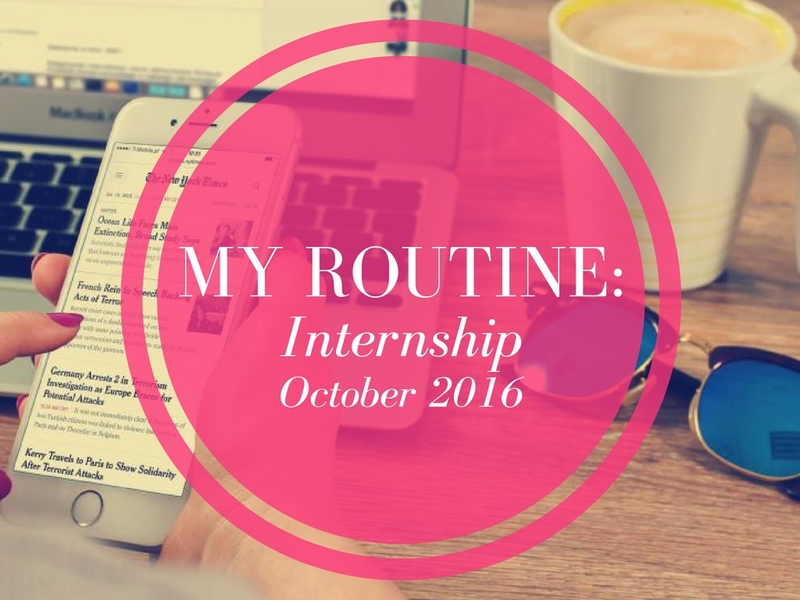 I thought of jotting down my routine as I intern (and study) simultaneously. I always enjoy knowing what people do; so for those who enjoy reading something similar, welcome here. In this post you'll find all that I do, from snoozing the alarm in morning to setting the alarm at night. The lecture on weekdays starts at 8:30 am. For that, I wake up at 6:00. The alarm goes on and after snoozing it for fifteen minutes, I decide to wake up. We don't have lectures regularly now, so I'm pretty chilled. It usually is 6:30 until I get out of the bed. I brush, drink water, and mom gets tea for me. If there's breakfast, I have that too. I hit the bathroom and then wear clothes. After that, makeup, and then I pick my bag, food, water, and leave for station. It's almost 7:15-7:20 when I leave. I take rickshaw in the morning as I don't want to miss my train. I reach station and then wait for the train, which is 15 minutes late usually. I meet my best friend in train and then we just don't have the record of time. We talk and talk, and talk and talk. We get down at our destination. We reach the classroom by 8:40; yes, late. But the professors are not in the class by then. Even if they are, more than half of the class hasn't reached yet. Everybody's settling down as we reach. I keep my eye on the clock as I have to go to office too. Initially, I used to leave from college at 9:30, but now I leave at 9:50. The lecture gets over at 10:30, but I leave earlier! I try my best to sign the attendance register, but then the traffic makes me late. When there's a lecture, usually I have to sign the late comers' attendance register. But that's no fuss, as I write 'college' under the reason column. From Monday to Friday, my alarm is set at 6:45 am. Though this is not the exact time I wake up, I have intentionally set it at this time. I like the extra sleep I get after hitting snooze. I sleep for half-hour more, that is, I finally dismiss the alarm at 7:15 am. This is like the deadline. My parents are pretty chilled until it's 7:15. At 7:15, they make sure I'm awake. I usually don't crib because like I mentioned earlier, this is the deadline. I rush to the bathroom for shower. I usually come out in 10 minutes. I keep the hair-washing for the night. I somehow rush out of the bathroom and start getting ready. As I pick outfit at night, I don't have to waste time looking for one. I wear clothes and now's the time for makeup. I've been recently putting makeup. Initially, it used to only be kohl and concealer, but now I put lot of things. Makeup takes good 5 to 10 minutes. I revisit the loo before leaving the house. My parents have made and packed food and water for me. I put the lunchbox, apple, water (and now buttermilk) in my bag and get going. We reach office and then I just drink water, switch on the laptop, look out for any tasks-to-do, and settle down. For a month, I used to start working as soon as I reached office, which means fifteen minutes before time, but now, I start only after 10:00. By 11:30-12:00, my tummy starts growling. I either drink coffee or if I have carried anything for the 'second' breakfast, I eat that. Lunch time! I eat lunch with my two colleagues--Prerna and Orianne. I enjoy having lunch with them and I'm gonna miss them after my internship. Again I start feeling hungry. If I've not had coffee in the morning, I have it at 4:30. Otherwise, I either have an apple or probably order a sandwich. I've ordered sandwich only three times in two months. By 6, I start being impatient. I really wanna go home as soon as it's 6. If I don't have work, I ask my boss if I can leave. Sometimes she grants me permission, sometimes she asks me to wait back. I always hope she grants me permission though. If she says yes, I start packing bag for home. I switch off laptop, arrange stuff properly, visit the loo, and then leave for station. I typically reach the station by 7. I catch a train. Most of the days I get a seat. I reach my home station. Happy to finally be there. I walk up to my home. If my colleague is with me, she drops me on way in a rickshaw. I'm home--tired, yet delighted to see the neighbour's 1 year old in my mom's arms. I change into fresh set of clothes, and take the baby girl in my arms. My mom gets food for me till then. I enjoy this time the most. Happy to see my parents, happy to see the cute baby, happy to have dinner. I pass time and then by 10, I start picking outfit for next day. I also pick what undergarments to wear, as women might know this problem. We have to wear different inners depending on what we're wearing. So I take them out too. Along with that, I choose which handbag to carry, and transfer stuff if needed. I also keep out makeup that I'm gonna use. I hit the bed by 11, and don't sleep until it's 11:45 pm at least.